COLUMBUS, Ohio — Students from The Ohio State University and members of the broader community will screen and discuss six weekly environmental films with Ohio State and local experts in October and November. The series is designed to raise awareness of climate change and its economic, health, political and environmental impacts, said David Hanselmann, a lecturer in the university’s College of Food, Agricultural, and Environmental Sciences and the coordinator of the Environmental Professionals Network. The network, which is a service of the college’s School of Environment and Natural Resources (SENR), is co-hosting the series with Ohio State’s Office of Energy and Environment. The series will also highlight how people’s use of land and water can still support diverse wildlife and protect the environment, Hanselmann said. 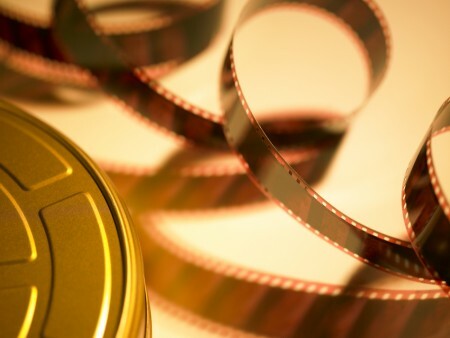 The films will screen at 7 p.m. on Tuesday evenings from Oct. 20 through Nov. 24 in the U.S. Bank Theater in Ohio State’s Ohio Union, 1739 N. High St. in Columbus. Admission is free and open to the public. Each film will be one hour long. A discussion session with the experts will immediately follow. Ohio State students are eligible to attend the screenings as an independent credit course. Oct. 20, “Home” episode of “Earth: A New Wild” with Josh Knights, executive director of The Nature Conservancy in Ohio, and Barbara Wolfe, DVM, clinical associate professor in Ohio State’s Department of Veterinary Preventive Medicine. Oct. 27, “Dry Season” episode of “Years of Living Dangerously” with Greg Hitzhusen, assistant professor in SENR, and Bryan Mark, associate professor with Ohio State’s Byrd Polar and Climate Research Center. Nov. 3, “Plains” and “Forests” episodes of “Earth: A New Wild” with Rebecca Swab, director of restoration ecology at The Wilds in Cumberland, Ohio, and Peter Curtis, professor in Ohio State’s Department of Evolution, Ecology and Organismal Biology. Nov. 10, “True Colors” episode of “Years of Living Dangerously” with Kate Bartter, director of the Office of Energy and Environment, and Craig Butler, director of the Ohio Environmental Protection Agency. Nov. 17, “Oceans” and “Water” episodes of “Earth: A New Wild” with Cinnamon Carlarne, associate professor in Ohio State’s Moritz College of Law, and Jeff Reutter, special adviser to Ohio Sea Grant and Stone Lab, both at Ohio State. Nov. 24, “Revolt, Rebuild, Renew” episode of “Years of Living Dangerously” with Gökçe Esenduran, assistant professor of operations management in Ohio State’s Fisher College of Business. A flier with full details about the series is available online at go.osu.edu/AutumnEnvironmentalFilms. “This series will inspire students and others to understand there really are solutions to today’s enormous environmental challenges,” Hanselmann said. To that end, he said, the Environmental Professionals Network is “very excited” to also be bringing the host of “Earth: A New Wild,” M. Sanjayan, to Ohio State’s campus on Feb. 11, 2016, for a free public evening presentation. Details are at go.osu.edu/EPNsanjayan. For more information about the film series, Sanjayan’s presentation and the network, contact Hanselmann at hanselmann.3@osu.edu or 614-247-1908.